The Commentary on Revelation is Bede's first venture into Biblical exegesis -- an ambitious choice for a young monastic scholar in a newly Christianized land. Its subject matter – the climax of the great story of creation and redemption, of history and of time itself – adds to the Commentary's intrinsic importance, for these themes lie at the heart of Bede's concerns and of his achievement as a historian, exegete, scholar, and preacher. But Bede was also a man of his age. When he penned the Commentary around 703, speculation and anxiety about the end of the world was in the air. According to conventional chronology, almost 6000 years had passed since creation. If for God 'one day… is as a thousand years, and a thousand years as one day' (2 Peter 3:8), the world was destined to last six millennia, corresponding to the six days of creation. The end, then, was close. Bede vigorously opposed the temptation to calculate the time of the end. The Commentary argues that Revelation is not a literal prophecy, but a symbolic reflection on the perennial struggle of the Church in this world. At the same time, the young Bede is starting to shape his own account of how the end-times would unfold. This translation, prefaced by a substantial Introduction, will be of interest to students of medieval religious and cultural history, of Anglo-Saxon England, and of the history of Biblical exegesis in the Middle Ages. 1. The translation is based on the superb critical edition of Roger Gryson (2000). 2. It is fully annotated with source and explanatory notes. 3. It is prefaced by a substantial Introduction that places Bede in the tradition of exegesis of Revelation, discusses his sources and how he uses them, offers a fresh interpretation of the circumstances surrounding the composition of the Commentary, and analyses its principal themes. 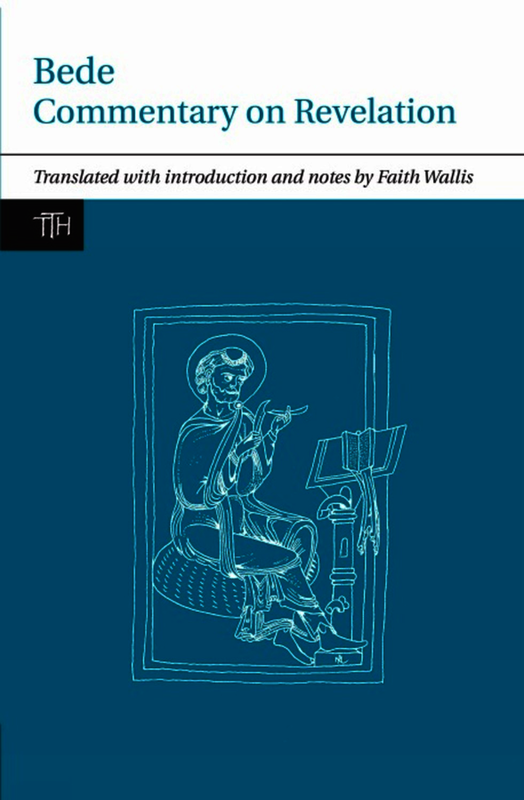 [Faith Wallis's] translation is accurate and animated and she has done a splendid job of situating the work in the context of Bede's early writings on time and the millennium. Now Faith Wallis, known for her Bedan scholarship, especially for Bede’s The Reckoning of Time, has produced a translation of the Commentary with introduction and very informative notes that superbly complements Gryson’s edition. Her accurate translation of Bede’s work along with an informative commentary condenses Gryson’s French and Latin notes and adds some additional references. Wallis’s translation, besides being accurate and occasionally adding in brackets Bede’s Latin wording, has the advantage of indicating by the use of italics and notes when Bede incorporates within his commentary (as he very frequently does in this early work) comments by patristic authorities such as Tyconius, Primasius, Gregory, and Augustine; her book also provides a Select Bibliography and an excellent Index of Sources and Parallel Passages. A scholar who has Gryson’s Latin edition and Wallis’s detailed introduction and annotated translation at hand will be eminently equipped to read, understand, and reflect on Bede’s Commentary on Revelation. This volume, with its brilliant introduction, will contribute greatly to an understanding of the theological debates and movements of thought in the Church in Europe at the turn of the eighth century. Faith Wallis is Associate Professor in the Department of History at McGill University, Montreal.